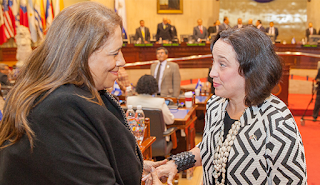 Deputies in El Salvador's National Assembly have elected a new attorney general. The deputies passed over current attorney general Douglas Melendez to elect Raúl Melara as the country's new top prosecutor. It is an important role in a country with high levels of criminal violence and corruption. Murders are down, but how many missing persons need to be added to totals? This article originally appeared with the title Homicides Down, Disappearances Up: El Salvador’s Conflicting Numbers on the website of Insight Crime. Homicide rates in El Salvador are set to be at their lowest in years, yet the number of disappearances has increased dramatically in the same time, suggesting that the Salvadoran government does not have as a tight grasp on security issues as initial figures may imply. As 2018 draws to a close, the latest figures from the National Civil Police of El Salvador (Policía Nacional Civil – PNC) tell a tale of two countries. Murder rates in 2018 have dropped to their lowest levels since the 2012 gang truce, with 3,151 homicides registered as of December 7. However, 3,382 people have been reported missing, almost 200 more than the year before. Recently disclosed documents from the US State Department show that the US Embassy in El Salvador is closely following the case of the massacre of children and others at El Mozote as well as other human rights cases from the civil war period. The documents in question were released in response to open records requests from the University of Washington Center for Human Rights (UWCHR).